Who wants to break camp just to run to the store, then have to drive back to camp, and hook up electricity and water all over again! “Toads” (or dinghies) vary in size. They are convenient to use, after arriving at your campground. Towed vehicles are also ideal for exploring mountain roads, and forest trails, not conducive to large motorhomes. Some toads can be pulled flat, with all wheels on the ground, while others must be towed with two wheels off the ground. 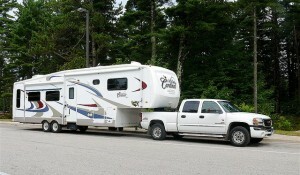 All individuals have their preferences, although three basic methods of towing behind an RV exist. A tow bar can either be an A-Frame or self-aligning. 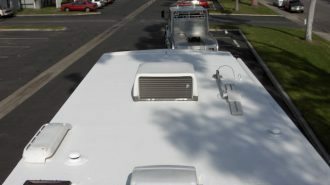 The tow bar consists of two elements, a tow bar, and the base plate. The base plate attaches to the chassis of the vehicle being towed. The breastplate is custom built for the vehicle. Motorhome-mounted tow bars are more advantageous than folding models that are stored on the base plate of the towed vehicle. Keep in mind that tow bars are unique to a vehicle. If no base plate exists for your vehicle, you will have to get one customized (which can be very expensive). Unfortunately, mileage also accumulates on some vehicles that are being towed with four wheels down. 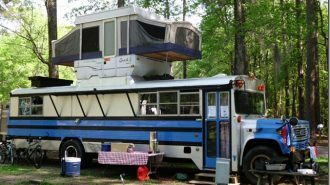 Also, remember that the motorhome cannot be reversed if the tow vehicle is attached. The A-frame is the most economical but requires that you have a helper to hitch the dinghy. They are strong and heavy. The tow bar assembly transports tow vehicles flat. 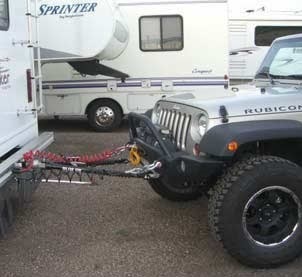 They are cheap and easy to use towing systems. They are rated from 3,500 pounds to 5,000 pounds. 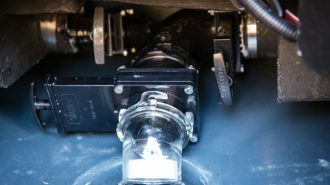 Self-aligning tow bars can either be dinghy-mounted or coach-mounted. They are highly adaptable, and only require one person to hitch the two vehicles together. 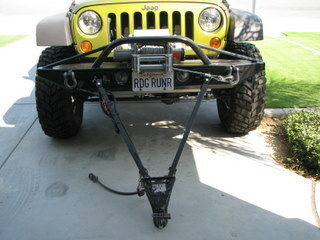 Some vehicles require that you remove the bumper and do some minor drilling, in order to hitch the base plate. Others have even more elaborate installation procedures, such as trimming the air dam or removing a factory installed belly pan. Read the manufacturer’s instructions on installation. Safety chains should also be secured to the hitch receiver and crossed under the tow bar, in case it fails. Fasten all chains, cables, bolts, nuts and locking pins securely. Connect the breakaway system and brakes, and ensure the dingy is set for towing. 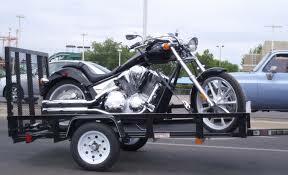 This is a short two-wheel trailer used to transport the tow vehicle with two wheels off the ground. Tow dollies are universal and can be used by any vehicle. 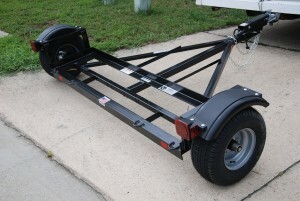 A tow dolly is attached to the trailer or motorhome, then the vehicle is driven up a ramp, and its two front wheels are secured on it, while the two back wheels rest on the ground. They can be expensive, and most states require a license. Also, the dolly also needs to be stored once you get to camp. Trailers negate concerns over mileage and transmission damage as vehicles are towed off the ground. 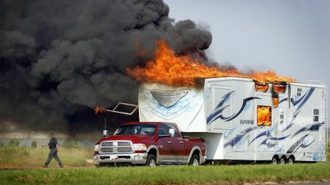 They also save wear and tear during towing. Trailers allow for back up capability, though they are cumbersome and add weight. 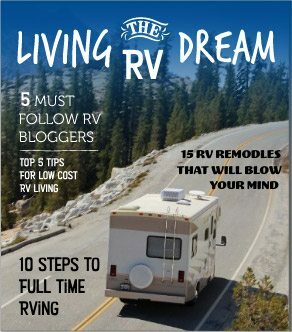 You will also need a place to store the trailer when you reach your destination. 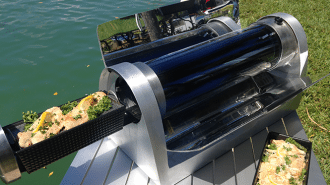 A dinghy has become a necessary addition, especially for the owners with larger motorhomes. 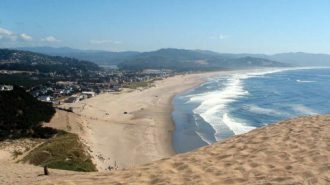 These coaches have all the comforts of home, but can be disadvantageous when you need to go to the store in a small town, or even off-road while sightseeing. A dinghy affects acceleration, braking and fuel economy, however with proper selection, it will enable you to enjoy all the benefits of a second vehicle while on your travels. 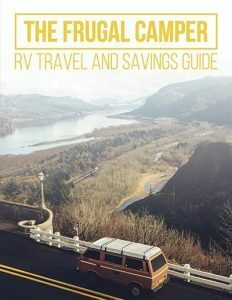 Towing capacity and budget are two of the several variables you will need to consider, before towing with an RV. It is imperative that you understand every variable. The hook-up between RV and dinghy is easy now, with self-aligning tow bars. Numerous accessories, such as RV underskirt kits, are also available to keep debris away from the dinghy vehicle. Supplemental braking systems have also been developed, and continue to evolve. Portable systems can be installed in minutes. 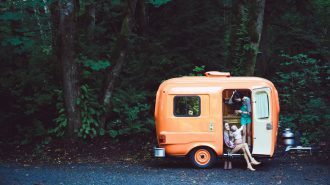 From luxurious to economical, all kinds of cars can be towed behind an RV, some easier than others. Find out if your vehicle is approved for flat-towing. Many cars and light trucks can be towed safely, using the appropriate towing accessory. 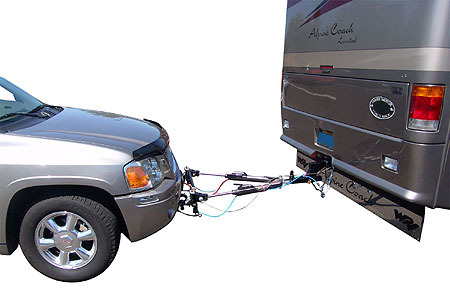 However, owners should always confirm the vehicle’s tow ability, before hitching it to the motorhome. 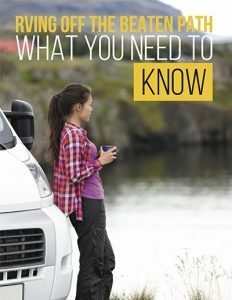 First, find out what the towing limit for your coach is. 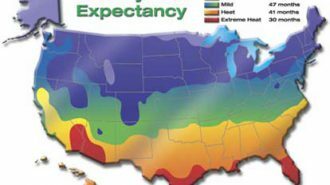 This will help you narrow down your options considerably. The hitch receivers weight rating should also help you narrow down your choice of “toads.” An upgraded hitch receiver does not give you license to exceed the weight limit of the car or coach. Front wheel drive vehicles, with manual transmission and compact 4WD, are the most economic flat-towing toads. Some front wheel vehicles with automatic transmission can be towed, and are as easy to set up as manual cars, though others require special procedures. For example, some vehicles need to be started every 200 miles, so as to allow the transmission fluid to circulate. This can be inconvenient. but is necessary if you want to prevent drive train damage. Some cars require that you leave the keys in the ignition to prevent the steering wheel from locking up. This can cause the battery to drain, if placed incorrectly. Your hitch receiver must also be rated for the load you want to tow. 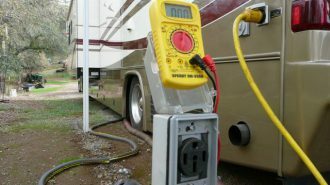 If it is already installed on your RV, the weight limits will be visible. 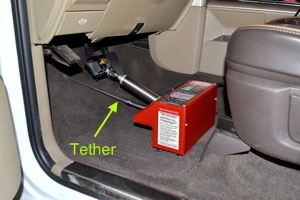 The height of your hitch receiver very rarely matches up to that of the vehicle you will be towing, making it necessary to purchase a drop receiver. 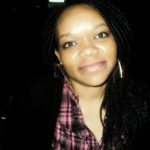 They are available in different variations, from 2 inches to 10 inches. Drop receivers should not be welded into place. This is the maximum weight for the tow vehicle, cargo, occupants and the trailer. This is the maximum weight for the vehicle, occupants, cargo and trailer hitch weight. This is the maximum weight on a single axle including the weight of the tires, axle and brakes. This is the maximum weight for towed loads. The data plate lists the GVWR and GAWR. Always use the data plate to get accurate figures as brochures may be inaccurate. Trailers have a weight sticker, an additional sticker that lists UVW (the vehicle’s weight as manufactured), and the GVWR, which includes the vehicle with propane and water. The CCC, or cargo carrying capacity, is the GVWR less the empty weight, the weight of the full water tank, the weight of the full propane tanks and the sleeping capacity, and is determined by the vehicle’s manufacturer. Refer to the UVW and the CCC when purchasing a trailer. You need to have an estimate of how much cargo you intend to carry on your travels, while keeping in mind the GVWR. This number is what you should use to select a tow vehicle. 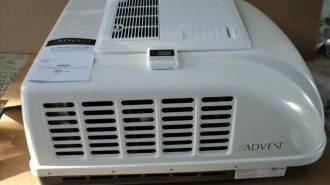 Older vehicles may have an inaccurate CCC, as equipment, such as air conditioners, are placed after weighing. The RVIA weight label is more inclusive of dealer add-ons, and would be a more accurate figure to use. These figures are set limits which, if ignored, will lead to problems. 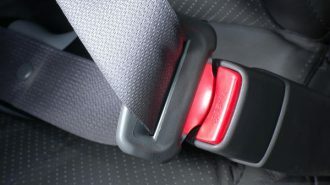 Your safety, and warranty of the vehicle, may be at risk if you do. 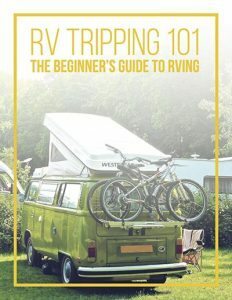 The best way to know what your RV weighs is to load it up, as you normally would when going on a trip, and weigh it. You should get the hitch weight, total weight and axle weight. 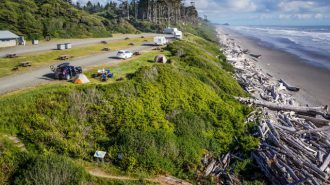 If your axle weight is lower than your GAWR, and your hitch weight is lower than the maximum allowed for your tow vehicle, then you can then select a car to tow behind your RV. Tow vehicle weight is also a variable you should consider. The number given for tow vehicle weights applies to the vehicle in its basic form. Upgrades to the engine, transmission, drive system, cab or bed style, and more, can add considerable weight onto the tow vehicle. If the dealer cannot give you an exact weight of the vehicle you intend to tow, you can estimate the weight, but go to a weigh scale to get exact figures. The bigger the engine, the heavier the car will be. A diesel-powered car is about 700 pounds heavier than a standard gas engine. If the car has optional transmission, you should add up to 200 pounds. If it’s a 4WD, expect it to weigh about 400 pounds extra. Electric motors, luxury trim and tires can also add up to 1500 pounds. Maximum tow rating 17,000 pounds. Such a pickup would normally weigh 6,000 pounds. Add a diesel engine, with a full tank of fuel. The driver and one passenger weigh 150 pounds each, and with some cargo, the car now weighs 7,500 pounds. The rear axle GAWR is derived from each axle maximum load, in this case, 3,412 pounds. So your truck’s 7,500 pounds is split between the front axles, say 4,000 pounds at the front due to the engine, and 3,500 pounds at the back. The GCWR of 23,000 pounds does not apply. This is because the GCWR minus the GVWR equals 13,100 pounds. This is a 4,000 pounds difference in the towing ability. After you add cargo and people to the truck, and subtract the 7,500 pounds from the 23, 0000 pounds, you remain with 15,500 pounds. This is 1,500 pounds less than the maximum tow rating. This means that theoretically, your truck can tow a trailer of 15,500 pounds. This would be a very wrong assumption to make. 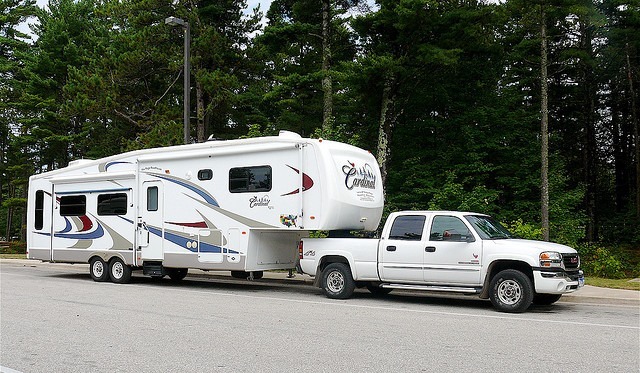 If you plan to tow a fifth wheel, you should realize that a considerable amount of weight is on its pin. So in this scenario with 20% of its weight on the pin, you would be adding at least 3,000 pounds to the back of your truck; making it overweight by at least 1,000 pounds, and just shy of the rear GAWR. Your truck’s GVWR is 9,000 pounds, your truck weighs 7,500 pounds, and you add on 3,000 pounds. Transmission: Automatic transmissions have higher tow ratings. Heavy-duty models may be 1,000 pounds or less. Drive system: Two-wheel drive vehicles have higher tow ratings than 4WD and AWD systems, since a 4WD adds weight, and therefore will tow less than a similar 2WD. Axle ratio: The axle ratio variance may be extremely small or very large, with some varying by only a few hundred pounds, and others varying by as much as 3,500 pounds. Lower gearing affects fuel economy. Towing package: Order a towing package if you can. This will add to your resale value. Number of wheels: It is not correct to assume that a “dually” pickup has a higher tow rating than a single rear-wheel unit. The dually will provide a more stable platform, and have a higher GVWR. A dually is better at hauling a slide-in truck camper. Tires: Read the fine print carefully. Some tow vehicles come with 20-inch tires from the factory. Tow ratings generally drop as tire sizes increase. Larger tires may also compromise the ride comfort. Do your research before purchasing a tow vehicle. 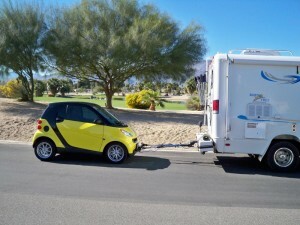 Your car of choice may be very capable of towing behind your RV, but you may find that no hitch is available for it. You’ve shopped carefully and picked correctly. Your dinghy is within your RV’s towing capacity, and all accessories and equipment you need, are there waiting for you. There are several things you need to do to ensure you safely tow. There are no plug and play solutions to towing, so you have to be careful to do the job right the first time, or you may damage one of your vehicles. The first aspect of hooking up your dinghy is connecting the wiring. Tail brake lights and turn signals are a requirement in all 50 states, and all provinces in Canada, so do not dare overlook this step. Turn signals are wired differently from car to car. Some are wired using the 4-wire system, where the bulbs for the brake lights are supplied with power from the turn signal. Others use a separate system for the two, and are usually called a 5-wire system. 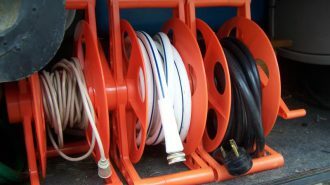 Your dinghy might have a 4-wire system, while the coach has a 5 wire system; adapters are available to match wiring in such situations. Traditionally, steering diodes were used to supply power to the rear bulbs. The diodes prevented power from being introduced into any circuit in the dinghy. If modifications to the wiring are necessary, but not desirable or possible, removable towing lights can be used. These are affixed with magnets or suction cups. A cable is then affixed to the connector at the hitch receiver. Some braking systems also require connections. No industry standard exists, for codes and wire colors in automobiles, so you need to read your owner’s manual. Use top-quality connectors, and remember, all connections should be water proof. When shopping for equipment to tow a car behind an RV, you will need more than just a tow bar and breast plate. A supplementary braking system for the dinghy should be considered as well. Some chassis manufacturers specify that you will need a supplementary braking system, if you tow anything over 1,500 pounds. Dinghy brakes are not a requirement in all states, but this does not make it safe to do without them. Some braking systems are completely portable, while others are semi-portable and can only be used in other vehicles with exceptions. 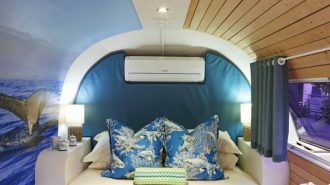 Some systems can be permanently installed into the dinghy or motor home. Towing is not the same as driving a car. The trailer behind you will exert a lot of pressure on the back of your car, leaving you feeling like you are out of control for the most part. This feeling is usually caused by sway, which is also called fish-tailing. Sway is the number one cause of accidents. Sway can be thought of as a dog wagging its tail, with the tow vehicle swinging wildly behind the tow vehicle. In the case of an RV, this tail can weigh anywhere from 3,000 to 15,000 pounds. 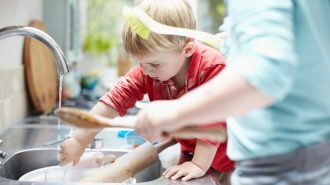 Even minor incidents can result in thousands of dollars worth of damage. Numerous devices have been created to deal with this problem, but none completely eliminate it. Most RVs use a sway-control hitch. This system is low cost, but hinders the vehicle’s ability to turn. They are also not recommended for wet conditions, so you will have to deal with sway, if you get caught in a rainstorm. 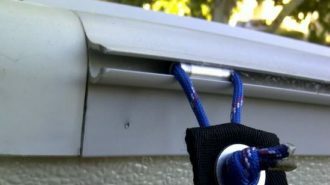 New hitches have been developed that completely eliminate trailer sway, using friction. The system is custom built onto a car, so if you change cars, you will have to buy a new hitch. 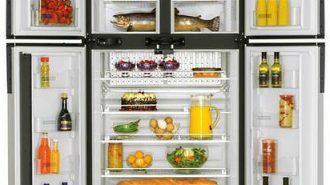 The PullRite is expensive, but its benefits outweigh the cost. Towing a car behind an RV can be safely done, if you adhere to the weight limits set by the manufacturers of your vehicles. Double check all connections, and test the braking systems, before you head out on the road.